The Shortround bridges the gap between easy riding “cheater” surfboards and the high performance shortboard. The speed comes from a low entry rocker and wide-ish nose, with a forward wide point and generous concave throughout. 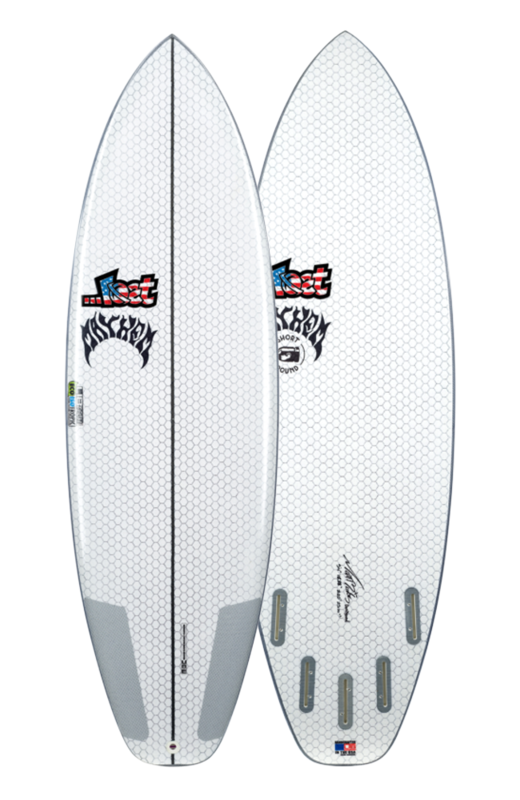 The performance comes from a moderate, but not flipped up, tail rocker, a double concave through the fins and the same sort of modern bump squash tail that you would find on a typical contest style, small wave HP shortboard. All combined, it doesn’t look like anything fancy and there are no gimmicks, but some times less is more, and there’s a lot packed into this little surfboard.